Individual creditors have been given nod to fund a multi-billion-yuan railway project in an eastern Chinese city where authorities undertook financial reforms for the city's huge informal private lending market, local officials said Friday. 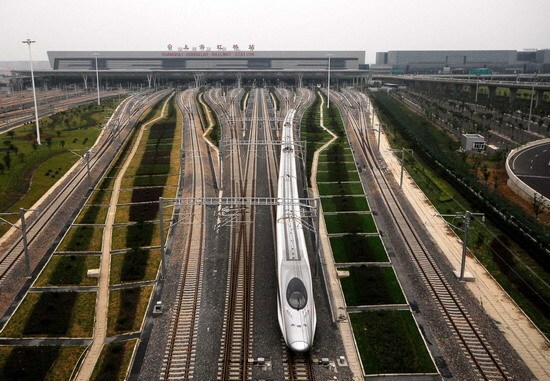 The municipal government of Wenzhou, Zhejiang province, has approved the construction of four railways with an estimated cost of 80 billion yuan (US$412.6 billion). The company created to oversee the project's construction and operation will have half of it total registered funding, or 7 billion yuan, covered by private lending. Details of the financing have not been disclosed. Observers say the move is considered an important "breakthrough" in the method by which infrastructure projects are financed in China and may help solve Wenzhou's private lending issues, which had boiled into a debt crisis felt by the city's numerous small- and medium-enterprises (SMEs) this year. Most of the 9 million residents in Wenzhou, a city that boasts of its entrepreneurship, have some amount of money invested in the informal lending market, which promises higher returns than other investments. However, more than 90 bosses of private companies in the city have been reported to have disappeared, committed suicide or declared bankruptcy -- invalidating debts of about 10 billion yuan ($1.57 billion) owed to banks and individual creditors pooled from the high-interest informal lending market. Entrepreneurs said they turned to loan sharks this year when banks were ordered to tighten lending to curb inflation. The continuing credit crunch made them subsequently unable to repay the interests on the money they brought from the private lending market. After Premier Wen Jiabao's tour of Wenzhou on Oct 5, the State Council, or China's cabinet, cut taxes and ordered state-owned banks to ease the credit squeeze to salvage cash-strapped SMEs in the city . The city also initiated financial reforms to set up 100 micro-finance firms, two to four private capital management companies, and a private financing register center to transform Wenzhou into a private capital distribution center, measures that will help make private lending transparent and legal, officials had said. The city will also pilot the market-based reform of interest rates, allowing deposit and lending rates to reach up to four times the benchmark rates, they added.